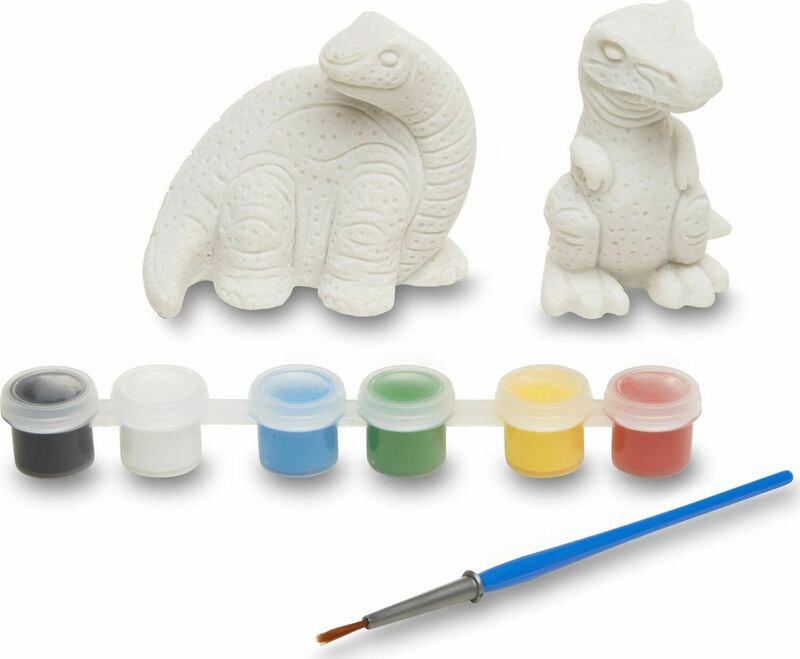 These two ready-to-decorate, solid-resin dinosaur figurines are waiting to be painted by a dino lover! 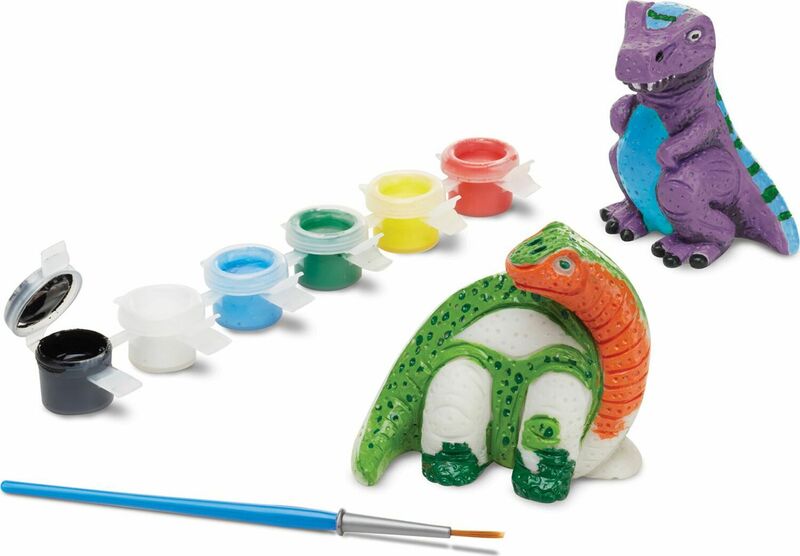 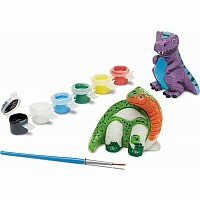 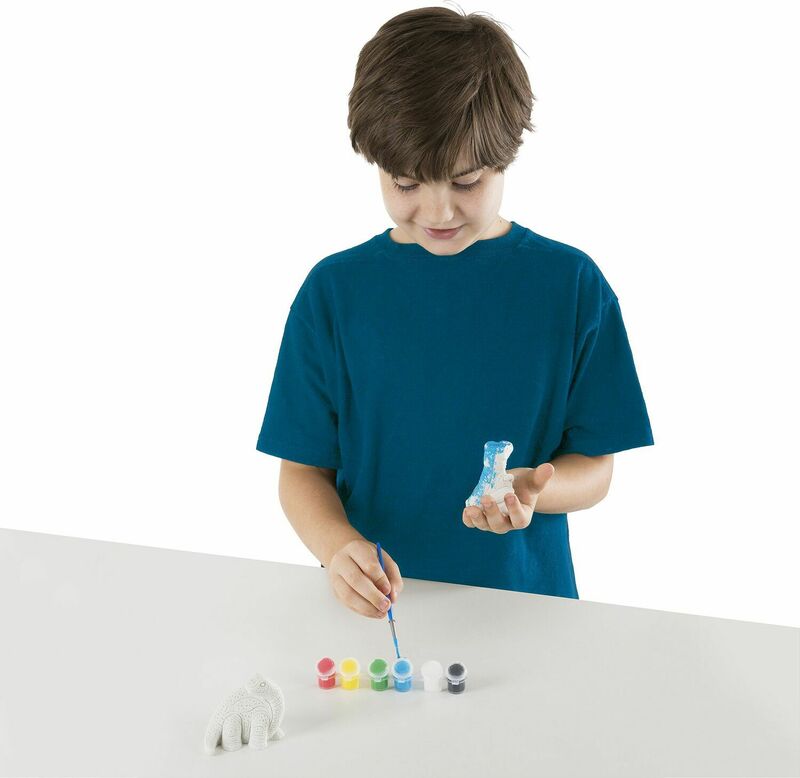 6 pots of colorful, non-toxic paint and an easy-clean paintbrush are all included. 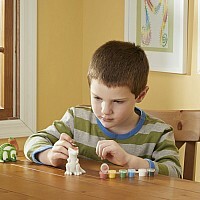 Figures measure approximately 2" and 4" inches high. 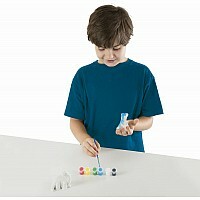 Measures approximately: 2.50 x 5.20 x 7.90 inches..